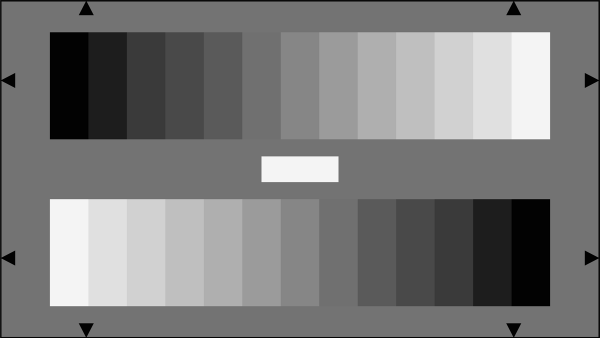 Two 13-graduated counter current gray scales are arranged on a gray background (D = 0.75), the gray scales being graduated logarithmically. Related to the densities of the gray scales: gamma = 0.45, related to the transmission values (brightness): gamma = 2.2, that being exactly the reciprocal value of gamma = 0.45. The output signal of a optimally gamma-corrected camera yields two 13-gratuated counter current linear step signals. 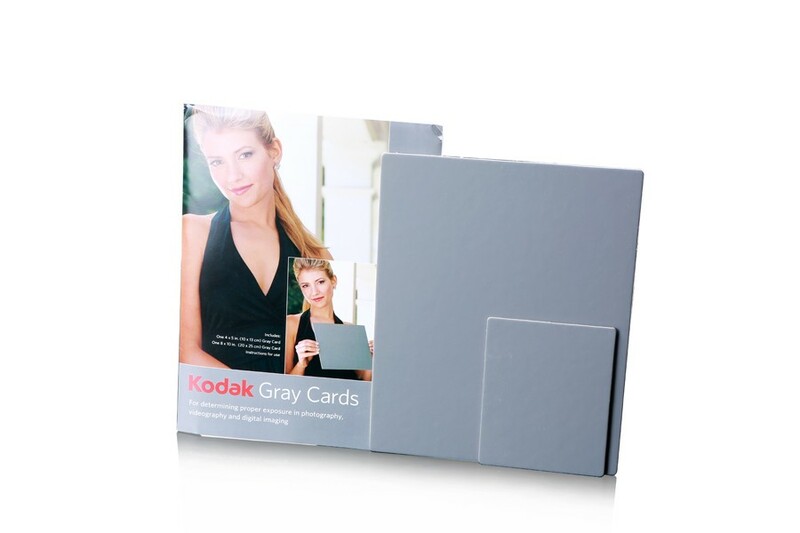 The contrast range of the gray scales is 200 : 1. The density of the white field between the gray scale is D = 0.05 (reflectance = 89 %). 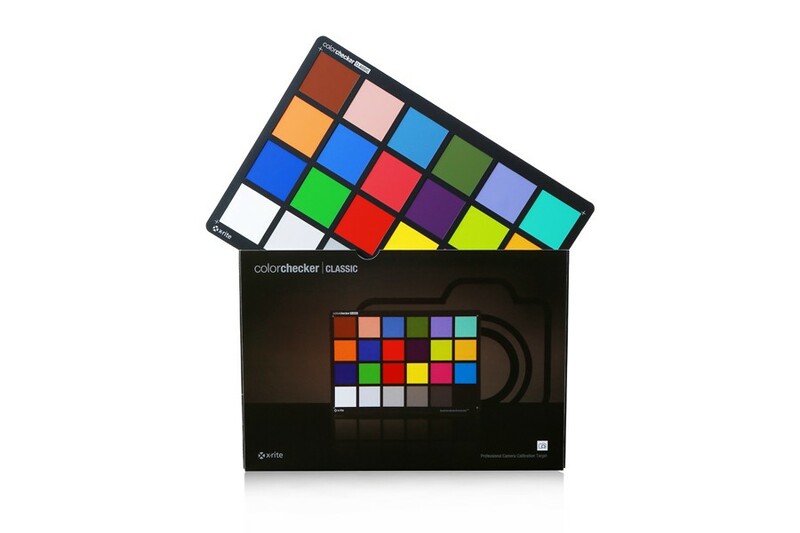 This Grey Scale chart is used in conjunction with a waveform monitor to adjust the light response characteristics (video levels of Gamma) of the camera and to ensure that these characteristics are matched in all three color channels. It is also used to adjust shading and flare. 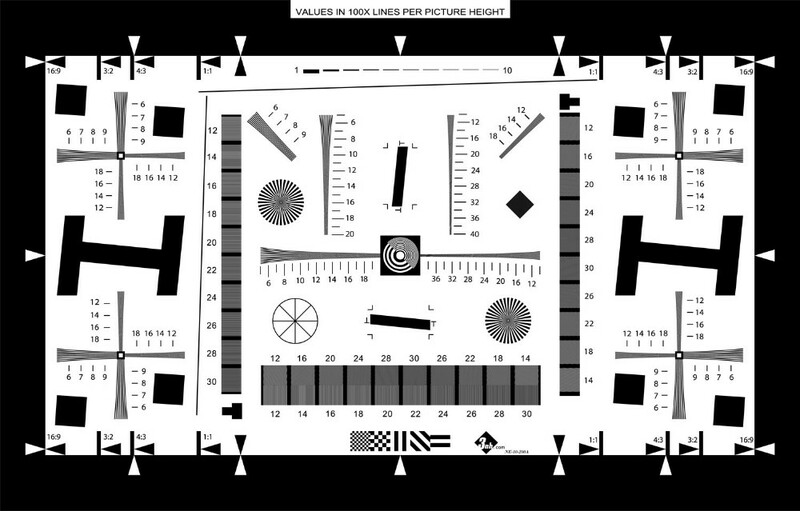 The 11-Step Grey Scale Chart is an extended range test chart intended for use with high-performance video cameras including both CCD and tube types. 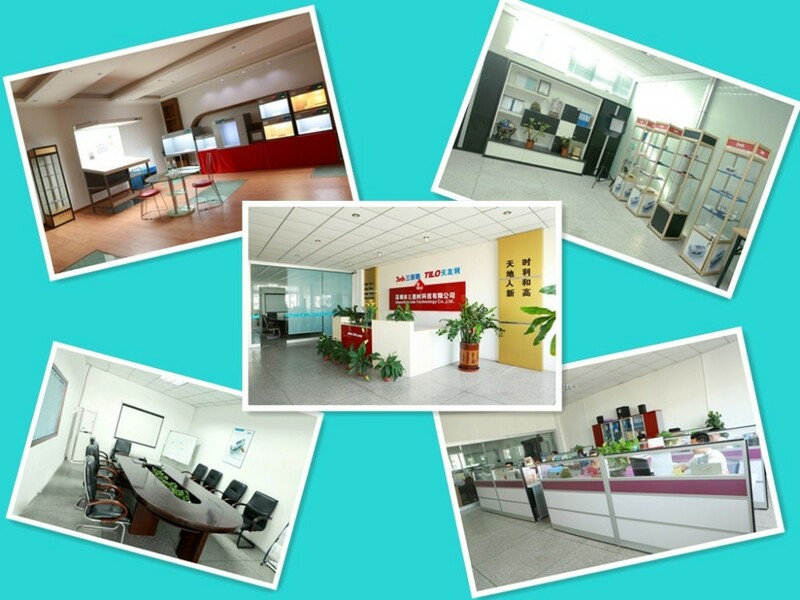 Shenzhen 3nh Technology Co., Ltd. and Shenzhen TILO Technology Co., Ltd are from the same boss, we are in one office. We produced colorimeter, spectrophotometer, color light box and gloss meter, iso 12233 test charts. 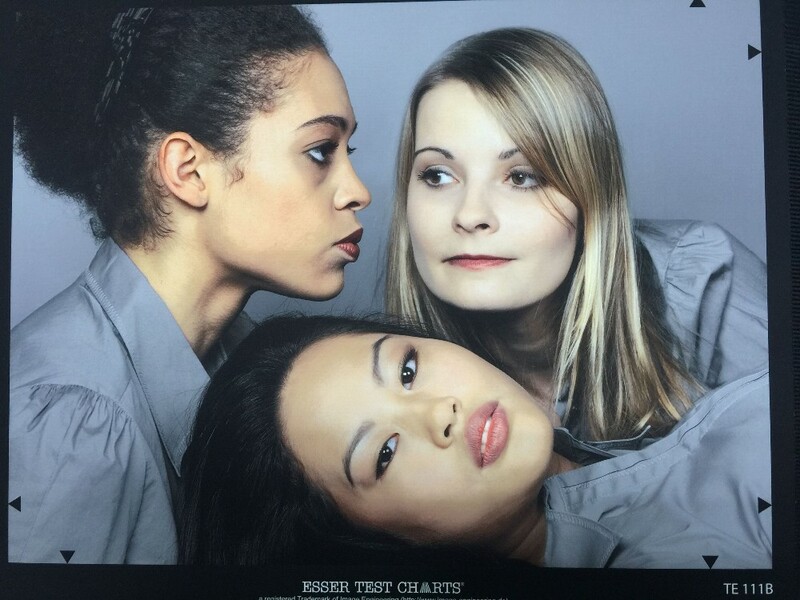 Test chart with no warraty.